DroneOKC has done it all, inspections to arial imagine, to 3D mapping and 3D arial building/statue modeling. 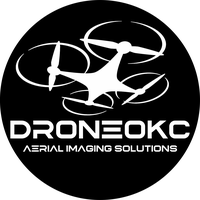 Advertisement for businesses, to Weddings and events, we at DroneOKC have done it all. DroneOKC employees really enjoy inspection missions and 3D mapping, but advertisements and events allows us to use our creative sides. DroneOKC is willing to travel to anywhere you need us.